You may not know this, but before I moved this blog to the Blogger service (in it’s current form), I wrote a number of articles that, after the switch, were archived. I’ve decided that it might be cool to bring back some of these and see if they are still relevant today. 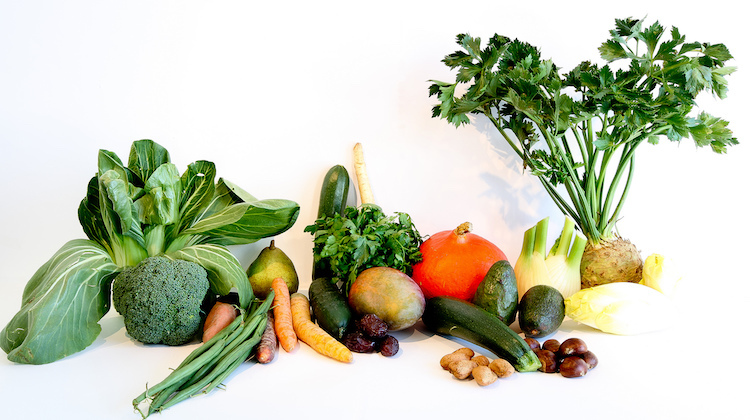 One such blog entry was created in the spring of 2003. 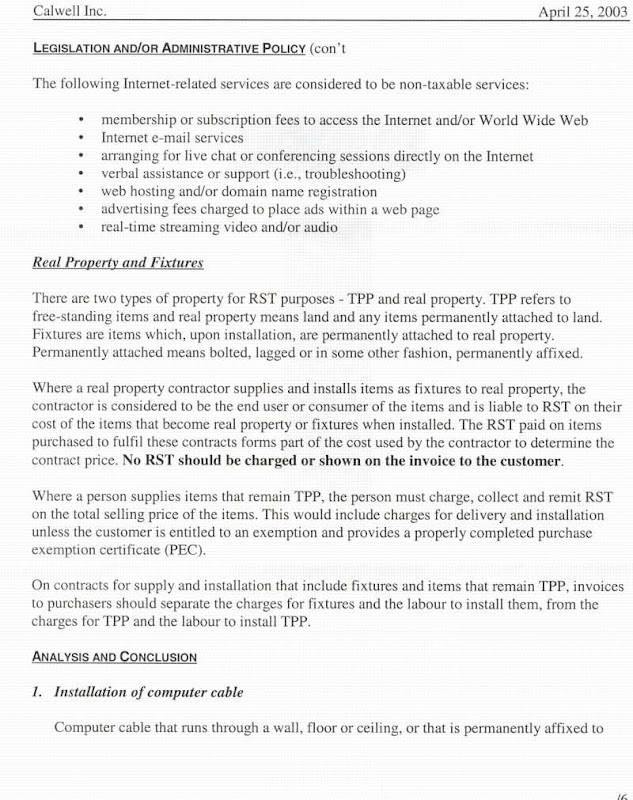 Back then I was looking to understand the scenarios that PST (or called RST) was going to need to be charged on various services. 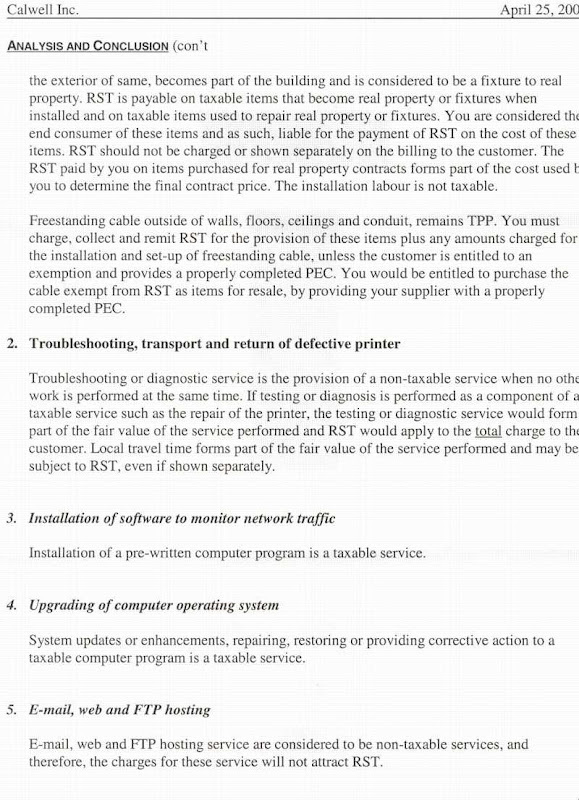 Of course, with this year’s change to HST, most of this is depreciated, but still interesting. My notes are interspersed. 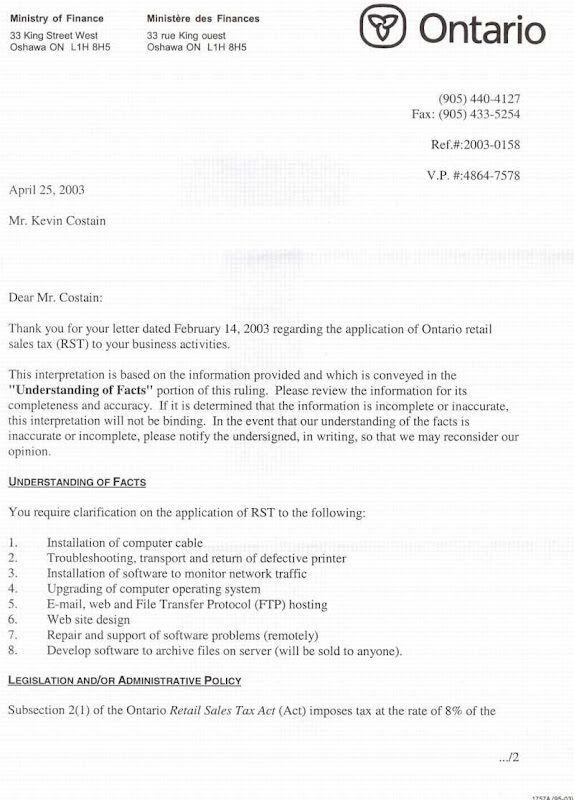 You can now view the text of a recent ruling on RST by the Government of Ontario. 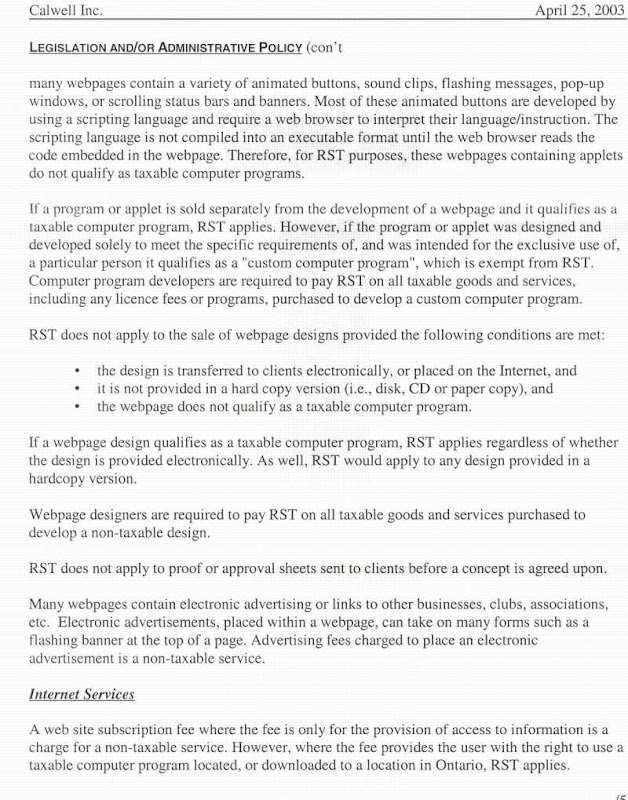 You can view the pages below, note these files are quite large (Aprox. 100k Each Page). (e) the provision of the right to park a motor vehicle or to have a motor vehicle parked in a commercial parking space; (“service taxable”) Of particular interest in this act is section (c) and section (d). 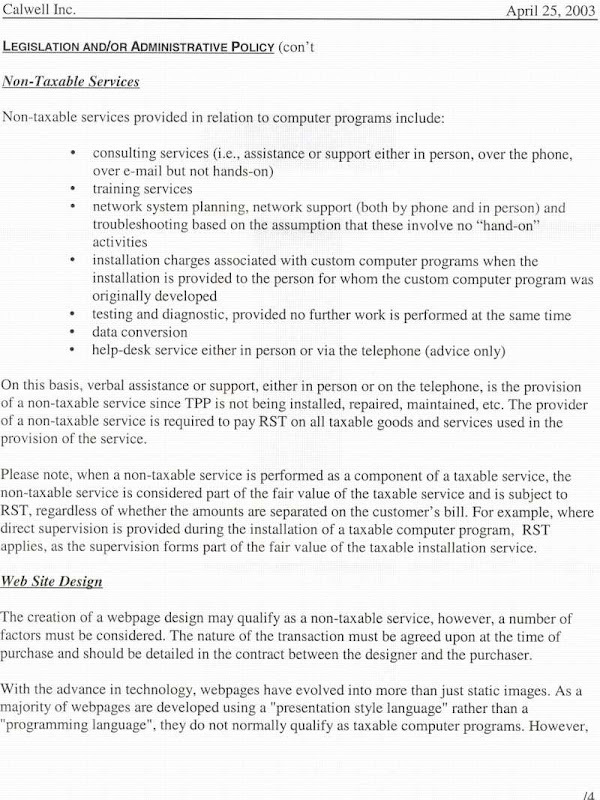 The most common interpretation of this passage is that if the consultant has any contact with “Tangible Goods” directly or remotely, that service is taxable. 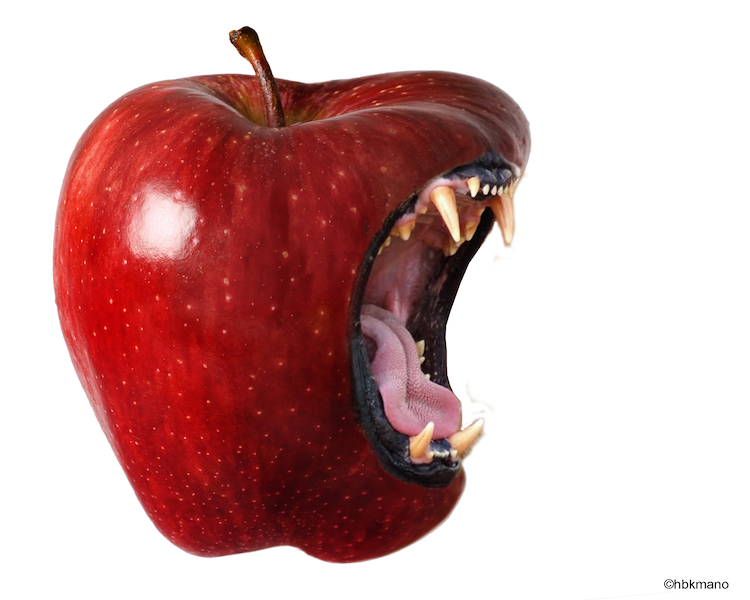 Services that are done indirectly (assistance or walking the customer through a fix – if you fill that). This is a tougher question to answer. 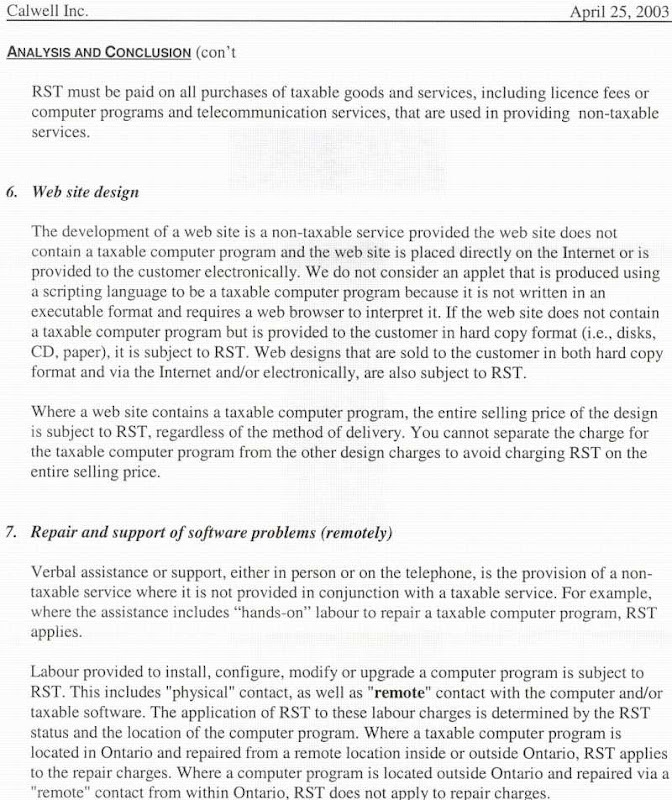 Since the Ontario Government defined the rules of “Tangible Goods” – most services ended up being taxable. The problem for (Edit: grammar!) 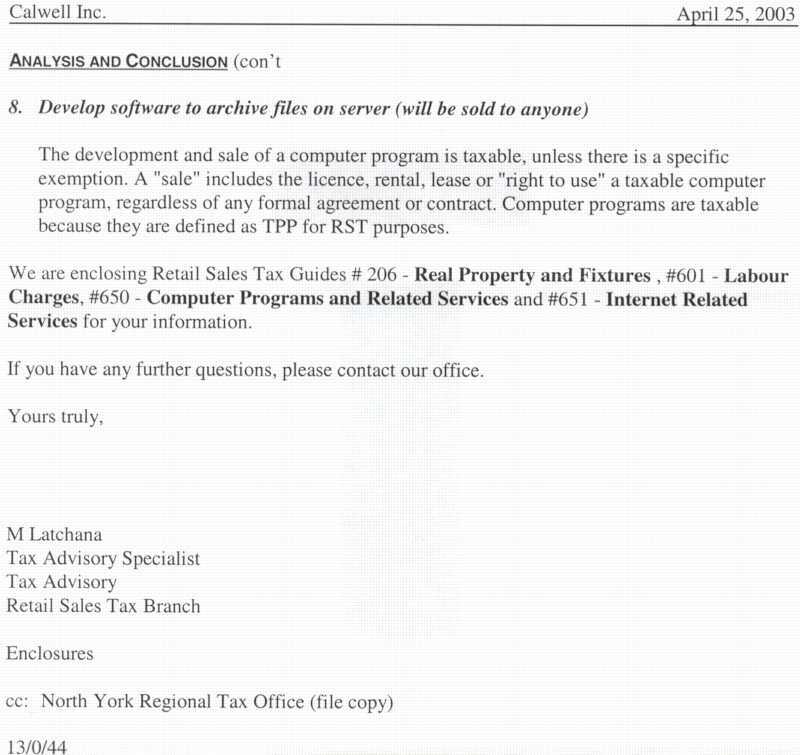 the Ontario Government is that they need to define the creation and service of non-tangible goods like software. The Ontario Finance branch recently created an amendment to the rules defined for consultants that more clearly defines the rules for taxability. 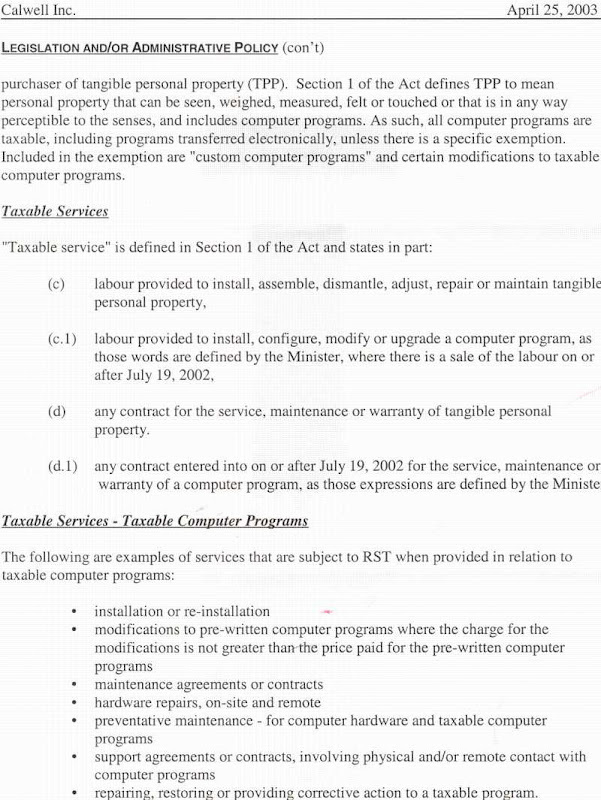 The most recent changes to the legislation mentioned above are to be retroactive on July 19, 2002 – but there should be more changes for Ontario Budgets in 2003. So, that’s it for this one! I look back at this seven year old article and think: “I was really on to something by putting this information out there”. I was indeed. I hope you have enjoyed this, and I look forward to your thoughts. Until the next time I dig up another old blog!